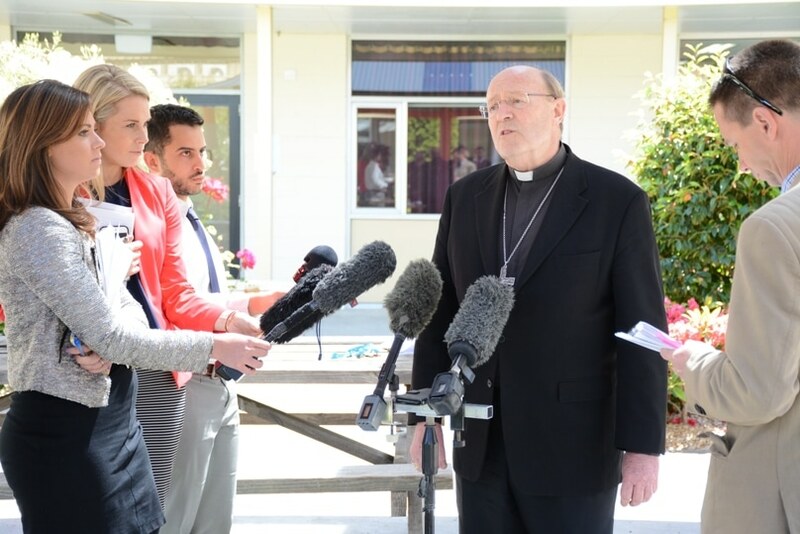 You would have no doubt seen the news that Archbishop Julian Porteous and the rest of the Australian Catholic Bishops Conference (ACBC) are under investigation by the Tasmanian Anti-Discrimination Commission over the publication and distribution of the Don’t Mess With Marriage booklet. The reason this is all happening in Tasmania is because of the nature of the anti-discrimination laws in that state. While most other states require a public action of inciting hatred, serious contempt or severe ridicule against a person based on a particular attribute (in this case, homosexuality) for discrimination to be said to occur, Tasmanian law only requires that an action might reasonably be anticipated to offend, insult or humiliate a person for a discrimination case to be made. The intention of the accused person is not relevant, nor is the reasonableness of the person taking offence. The imposition of a standard of reasonableness is only relevant to expectation that a person might take offence to, or be insulted by, what has been said. The uniquely broad nature of the Tasmanian law made it possible for the national director of Australian Marriage Equality, Rodney Croome, to urge people to make a complaint to the Tasmanian Anti-Discrimination Commission about the distribution of the booklet in Catholic schools in Tasmania. The broad nature of the law also made it possible for Greens candidate Martine Delaney (who I do not believe has a child at a Catholic school) to make a complaint because the law does not require that the “offending” action be directed at her in any way. That she took offence provides the requisite connection to the actions of Archbishop Porteous and the ACBC to have her grievance heard by the commission. This is where we run into our first problem. Because Catholic teaching is offensive. If we are doing our job properly in proclaiming the truth of Christ and the fullness of His teachings, some people are going to be offended by what we have to say. Don’t Mess With Marriage uses gentle, compassionate and pastoral language, and was intended to be the Church’s respectful contribution to the discussion about the redefinition of marriage. But it doesn’t matter what language is used, because it is the teaching itself which is hard to accept. If you can proclaim a teaching and no one is offended by it, then it is unlikely to be Catholic teaching. Our second problem is in finding a resolution. Both Ms Delaney and Archbishop Porteous have said that they are willing to enter into discussions to see whether they might come to a mutually acceptable conclusion, but it is difficult to see how this will occur. For her part, Ms Delaney is asking that an LGBTI awareness program be implemented in all Catholic schools (for staff and students) and that Archbishop Porteous and the ACBC make a public apology for producing and distributing the booklet. I find it difficult to imagine that the bishops will publicly apologise for performing the “teaching” aspect of their “teaching, governing and sanctifying” office, nor can I imagine them betraying it by allowing teaching which is contrary to the faith of which they are stewards to be presented in our schools. It will be hard to find a resolution because (back to our first problem) Catholic teaching is offensive. Maybe I’m being too cynical. Maybe there is a solution to be found without this needing to be decided by a tribunal. We can live in hope. If not, it looks like the entire ACBC will be brought before the Tasmanian Anti-Discrimination Commission. The entire Bishops’ Conference will be brought before Caesar. I can’t think of another example in the world where something of this scale has occurred. US Catholic commentator Mark Shea devoted his entire radio program to this matter last week – so amazed he was that it was happening. And I received a message from a friend in the US suggesting that, absent another Noah’s Ark, she could not think of another way to save Australia from the militant secularism which we now see before us. Their reaction made it clear to me just how serious the situation here has become. Because with all due respect to my friend and all of our brothers and sisters from the US, if people from America – a country which I often associate with both rampant litigiousness and extraordinary attacks on religious freedom – can be so flabbergasted by this chain of events, then things must be grave. The bishops have another two weeks to provide a response to the commissioner, who can take up to six months to decide if this will proceed to a tribunal hearing. In the interim, we should be proud and grateful that the commissioner considers there to be sufficient evidence against every Catholic bishop in Australia of proclaiming the “offensive” truth about marriage to warrant investigation, and we should support our bishops in every way possible.